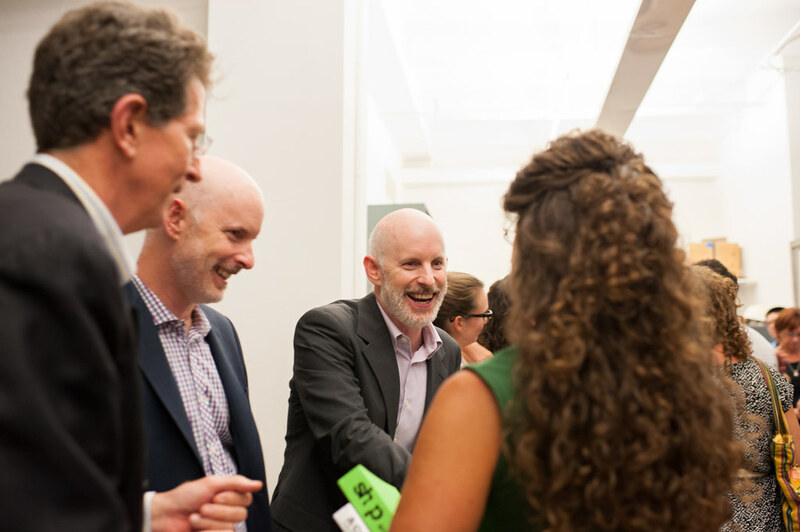 From left, AAP NYC executive director Bob Balder greets guests with Chris and Bill Sharples of SHoP before their talk, "SHoP: on the waterfront and other works," at the L. Michael Goldsmith lecture at AAP NYC on July 31. Guests at the L. Michael Goldsmith lecture at AAP NYC. Guests at the SHoP lecture at AAP NYC. 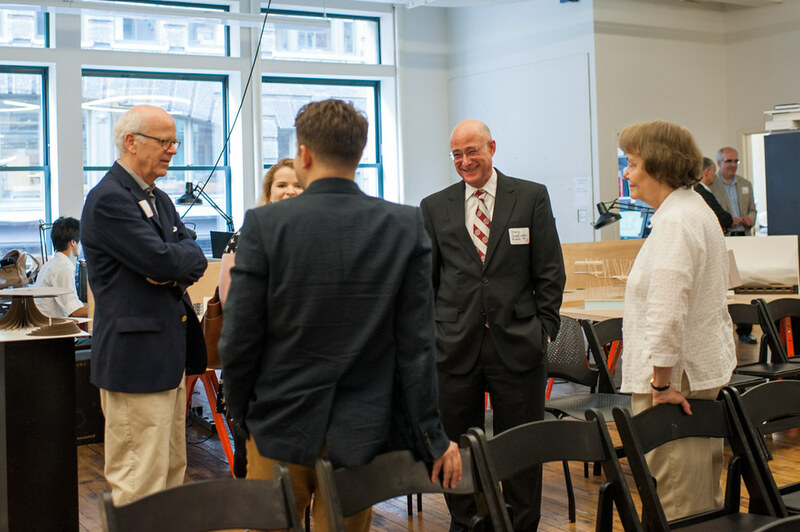 From left to right, Cornell Department of Architecture chair Mark R. Cruvellier speaks with Bob Balder and advisory council member and alumnus Peter Gerakaris. On left, Bill Sharples, talks with guests before the lecture. 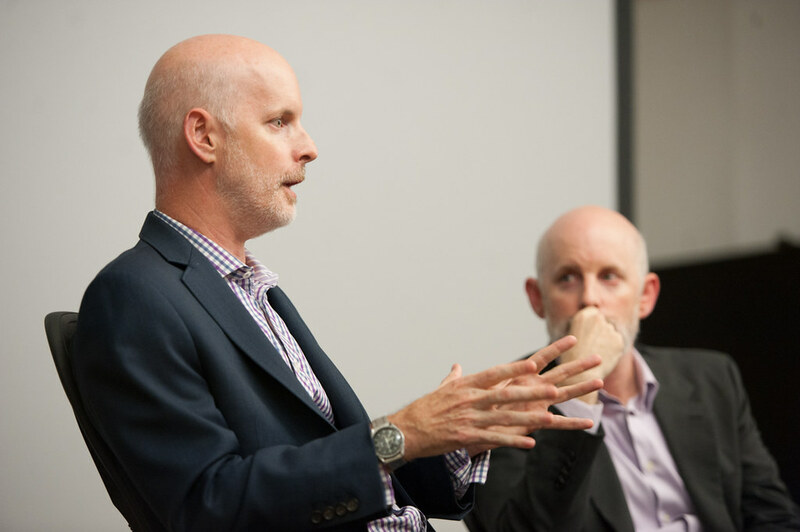 Bill and Chris Sharples of SHoP, each spoke individually before participating in a panel discussion. 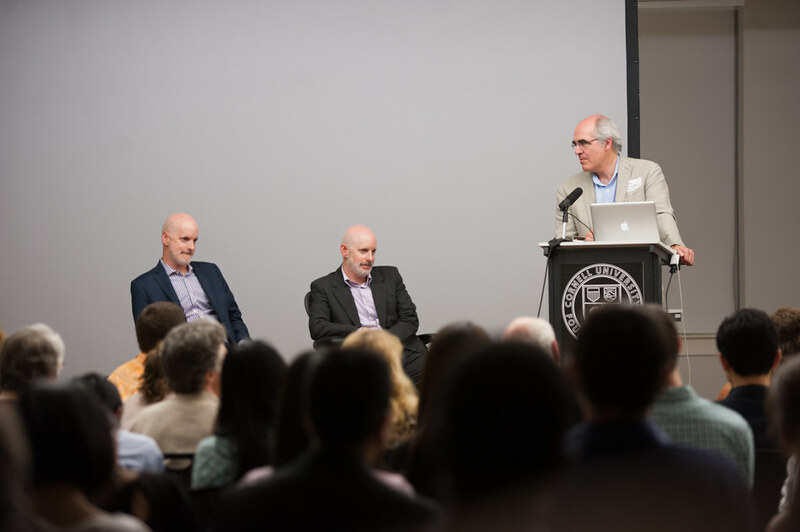 The lectures were followed by a discussion moderated by Mark Cruvellier. Brothers and SHoP cofounders, Chris and Bill Sharples. 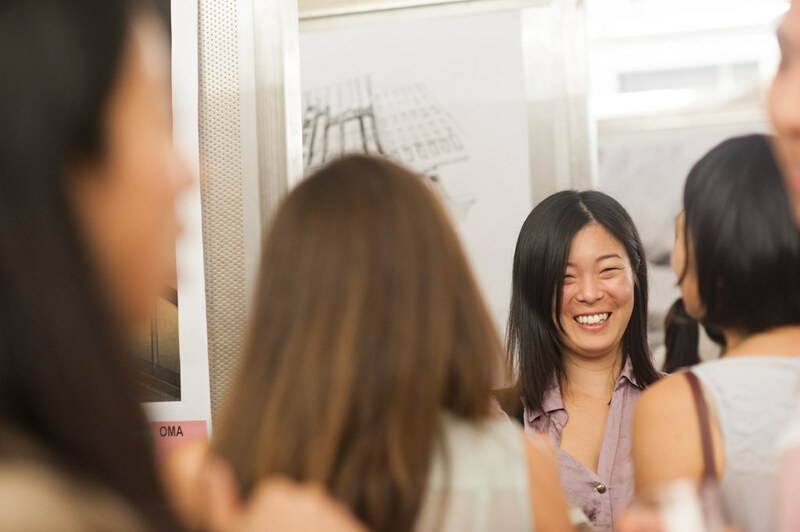 Guests view work by M.Arch.ii students from the summer session at AAP NYC. Mark Cruvellier talks with guests after the lecture. Work from M.Arch.II students on display. Guests socializing after the lecture. 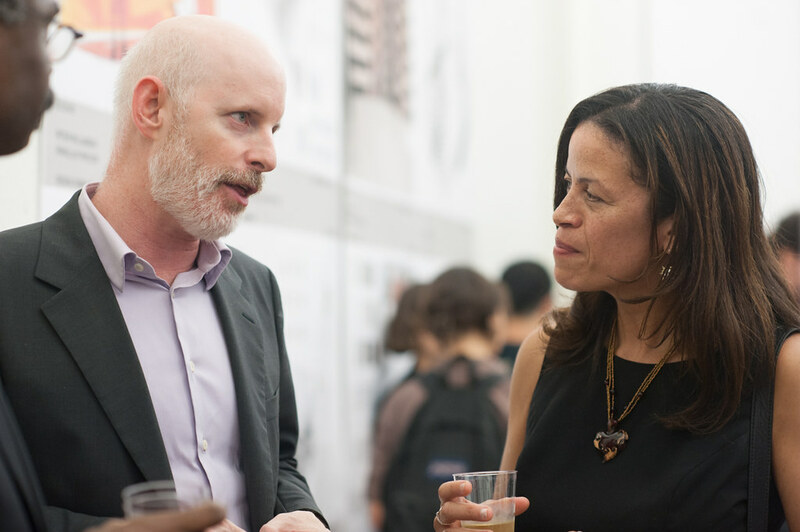 Guests view M.Arch.II work after the lecture. Student work from the summer M.Arch.II studio at AAP NYC. 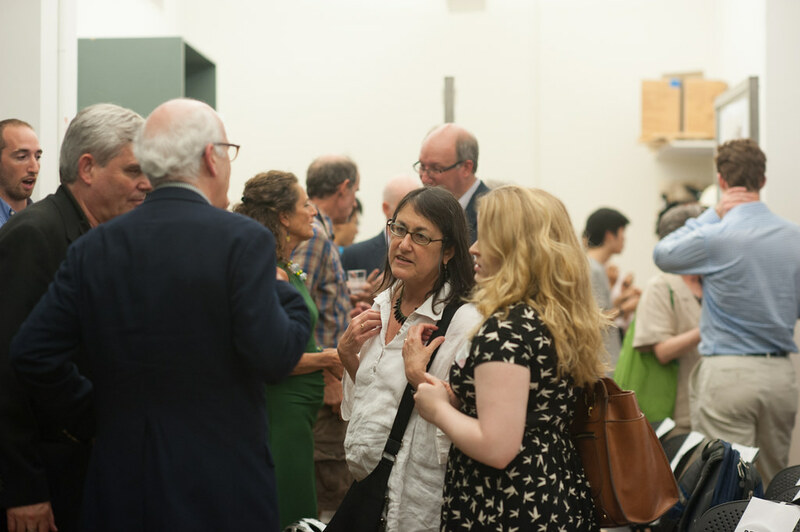 From left, AAP NYC executive director Bob Balder greets guests with Chris and Bill Sharples of SHoP before their talk, "SHoP: on the waterfront and other works," at the L. Michael Goldsmith lecture at AAP NYC on July 31. Guests at the L. Michael Goldsmith lecture at AAP NYC. 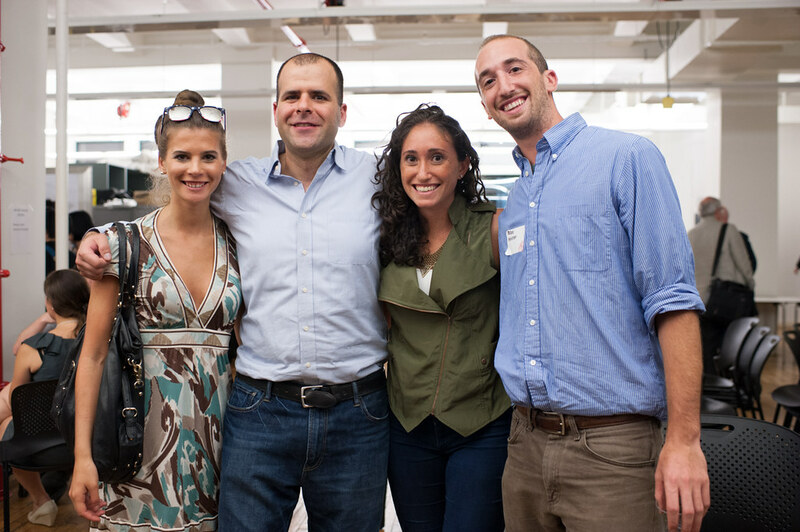 Guests at the SHoP lecture at AAP NYC. 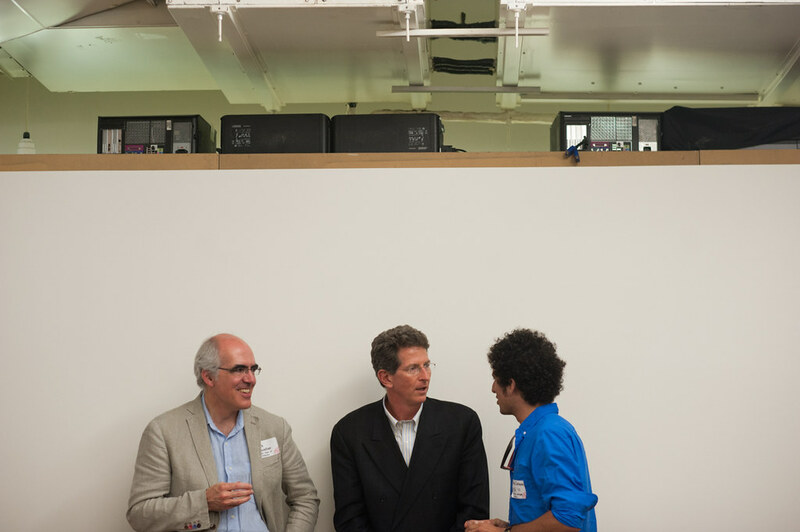 From left to right, Cornell Department of Architecture chair Mark R. Cruvellier speaks with Bob Balder and advisory council member and alumnus Peter Gerakaris. 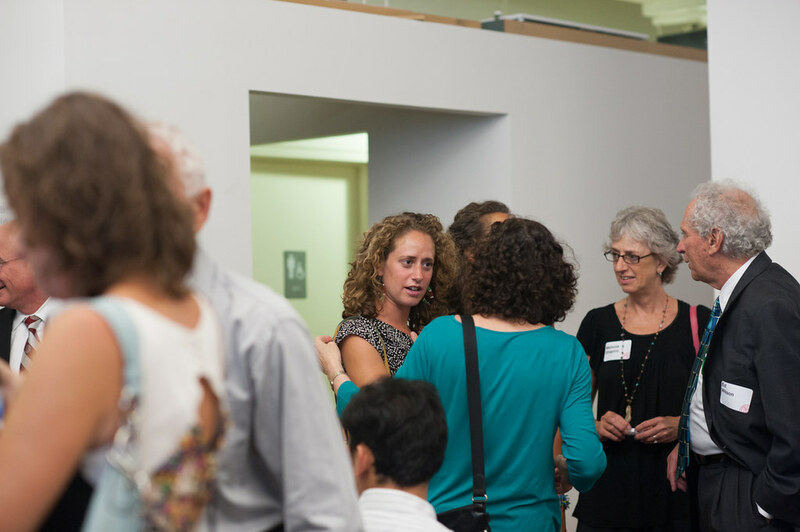 On left, Bill Sharples, talks with guests before the lecture. Bill and Chris Sharples of SHoP, each spoke individually before participating in a panel discussion. 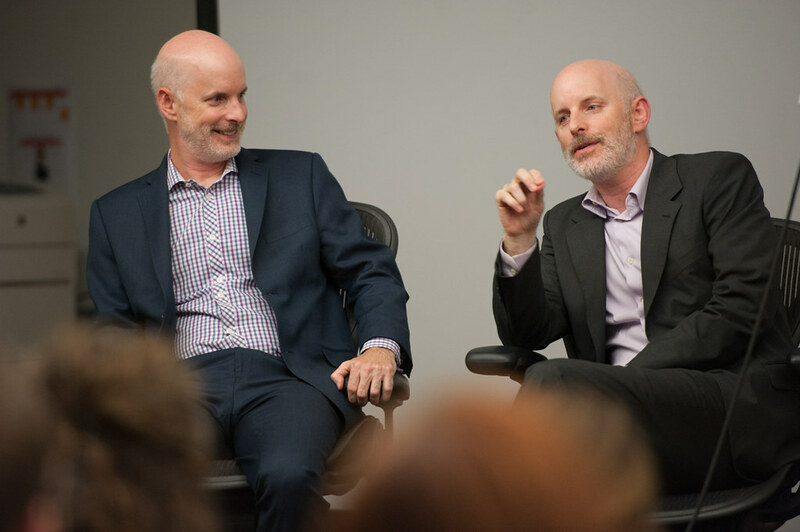 Bill and Chris Sharples of SHoP, each spoke individually before participating in a panel discussion. The lectures were followed by a discussion moderated by Mark Cruvellier. Brothers and SHoP cofounders, Chris and Bill Sharples. Brothers and SHoP cofounders, Chris and Bill Sharples. 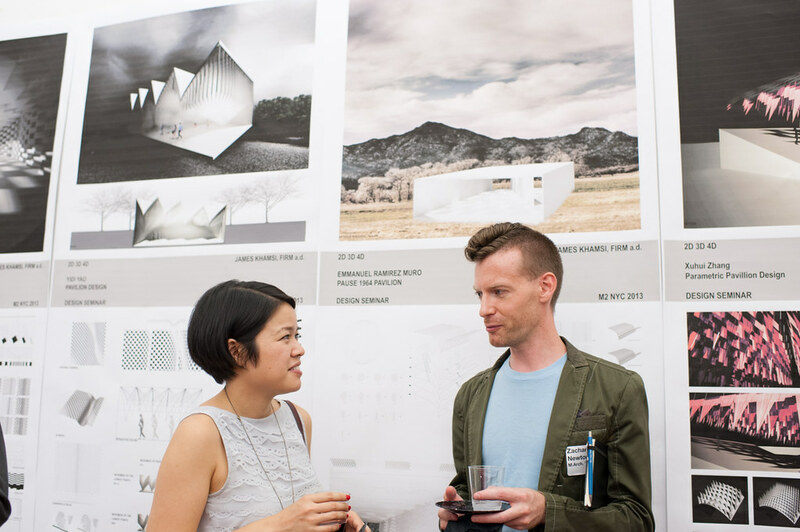 Guests view work by M.Arch.ii students from the summer session at AAP NYC. Mark Cruvellier talks with guests after the lecture. Guests at the SHoP lecture at AAP NYC. Work from M.Arch.II students on display. Guests socializing after the lecture. 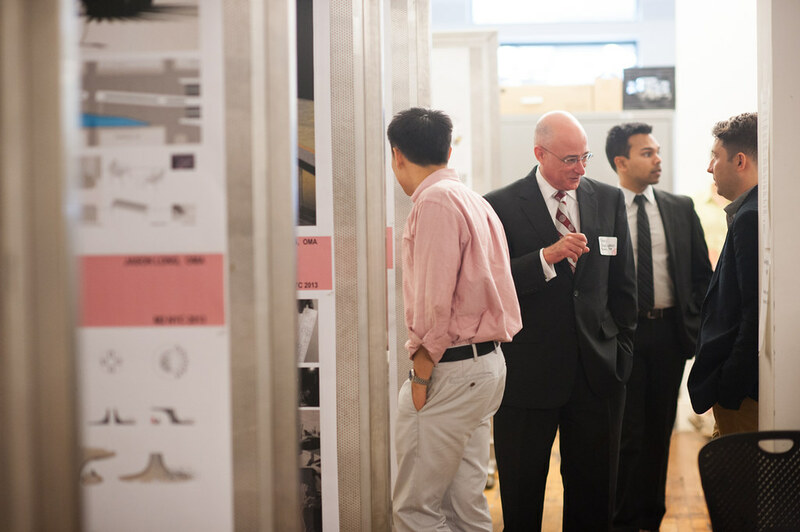 Guests view M.Arch.II work after the lecture. Lecture guests. 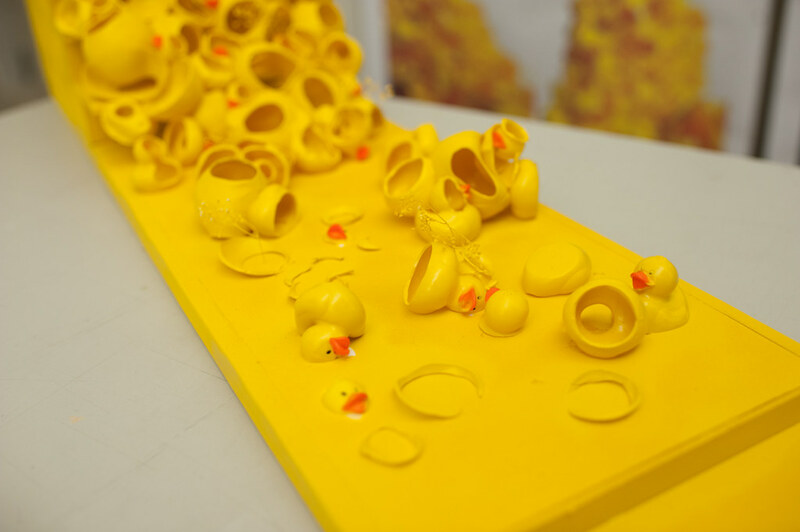 Student work from the summer M.Arch.II studio at AAP NYC. 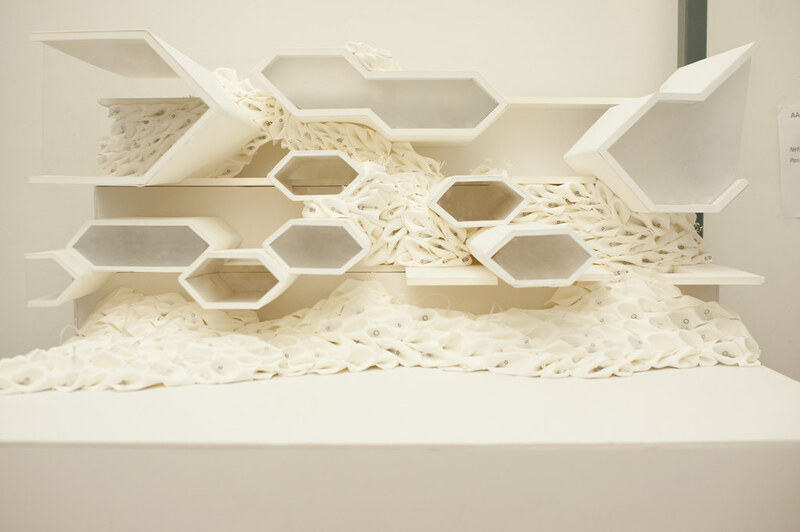 Student work from the summer M.Arch.II studio at AAP NYC. SHoP: On the Waterfront/And Other Works featuring Christopher Sharples and William Sharples. Mark Cruvellier, chair of the Department of Architecture and the Nathaniel and Margaret Owings Professor of Architecture will moderate. The lecture will focus on the recent and proposed projects of SHoP Architects including the East River Esplanade, Pier 15, the New South Street Seaport, including a completely redesigned Pier 17, and the new Domino Sugar Project in Williamsburg. In addition to these, they will discuss other major projects that are changing the character of New York City, the new Barclays Arena and Atlantic Yards. Christopher Sharples is a founding principal of SHoP Architects and SHoP Construction. Sharples holds two undergraduate degrees from Dickinson College — a bachelor of arts in history and a bachelor of fine arts. He received his master of architecture degree from Columbia University (1990), graduating with honors for excellence in design. 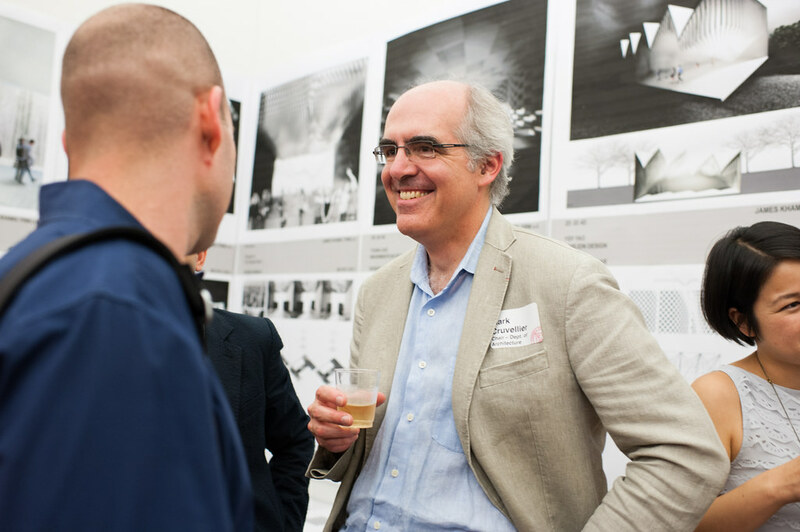 Sharples was named the Louis I. Kahn Assistant Visiting Professor for Architectural Design in spring of 2008 at the Yale School of Architecture. He is currently a visiting professor at Cornell University and has taught at Parsons School of Design, the City College, City University of New York, Columbia's Graduate School of Architecture, Planning and Preservation, and at the University of Virginia as the Shure Professor of Architecture. Sharples has also lectured, exhibited, and been published internationally. William Sharples is a founding principal of SHoP Architects and SHoP Construction. Sharples holds a bachelor of science in architectural engineering (five-year professional degree) from Pennsylvania State University, and a master of architecture from Columbia University (1994) where he graduated with honors for excellence in design. 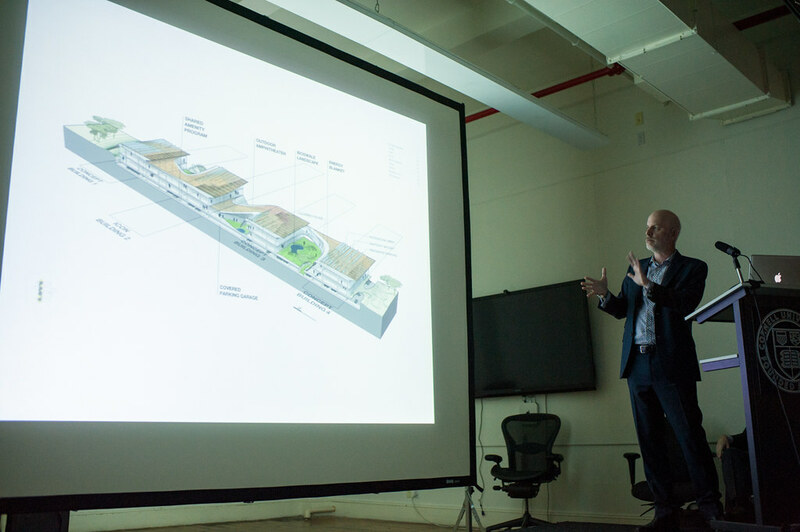 Sharples has served as a Louis I. Kahn Assistant Visiting Professor for Architectural Design at the Yale School of Architecture, and from 2001 to 2004, he served as an adjunct assistant professor at the Parsons School of Design where he taught a design studio and construction technology, and is currently teaching at Cornell University. 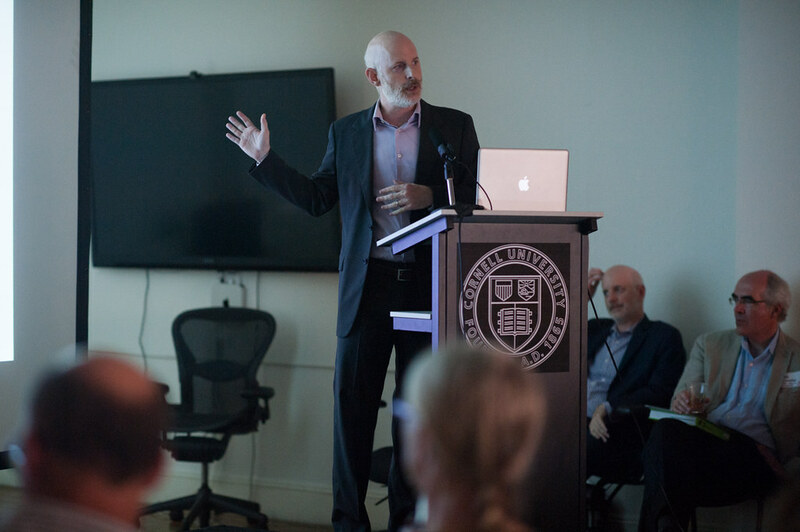 Sharples has lectured, exhibited, and been published internationally.